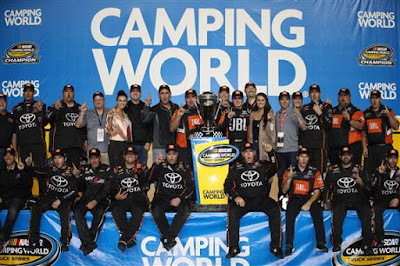 Christopher Bell gave Kyle Busch Motorsports its second title in three years under a format where the highest finisher among four eligible drivers—in this case Bell, Johnny Sauter, Matt Crafton and Austin Cindric--is crowned champion. "To be able to do this for all of the guys at Kyle Busch Motorsports and to win the championship for a team that deserves the championship, words just can’t describe my feelings right now," said Bell, who scored a series-high five victories this season. "To run as good as we have, week in and week out, and not just this year ... This whole organization, this whole team has been good for so many years. You just don’t want to be the guy that lets them down, and I’m glad I didn’t let them down tonight." Chase Briscoe collected his first Truck Series Trophy from pole. The win also represented the last trophy for Brad Keselowski Racing, which is closing its doors at the end of the season. Briscoe hasn't announced plans for next year. 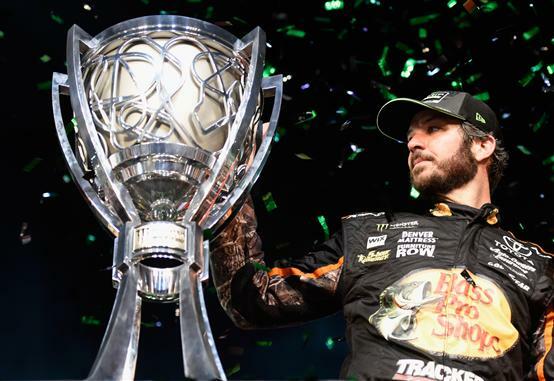 "This is a long time coming," said Briscoe who finished one position and nearly 16 seconds ahead of third-place Sauter, the defending series champion. "So proud of all these guys. To know that they’re not going to have a job next year, and we continued to bring really good trucks even though we were outside the playoffs, such a testament to how good these Brad Keselowski guys are. 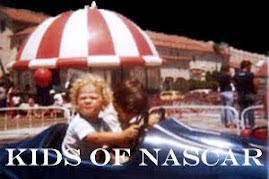 "I know two years ago I was sleeping on couches, and now to be a winner in NASCAR. I wish we were in the final four. 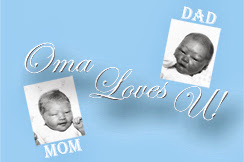 I felt like we could have been, but that’s part of the circumstances." 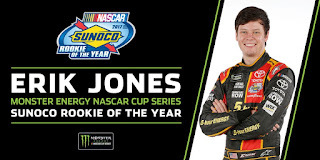 Briscoe, who also won the 2017 Sunoco Rookie of the Year. 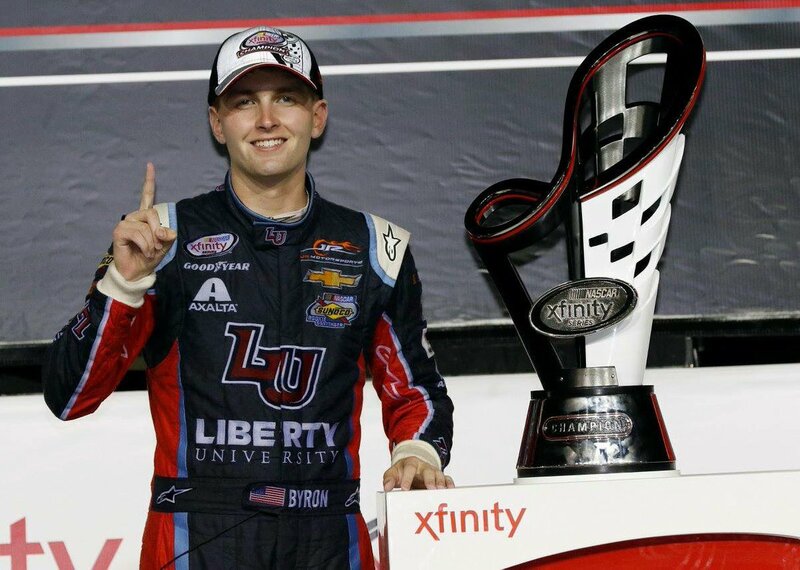 William Byron, just nineteen years old, reveled in the series championship. It was a close battle with his JR Motorsports teammate Elliott Sadler for most of the race. Sadler had passed Byron on Lap 165 of 200. The 42-year-old veteran stayed out front until Lap 191, when he closed on the No. 18 Toyota of Ryan Preece and lost momentum. Byron charged past Sadler into third place—and into the lead among the four drivers battling for the title. 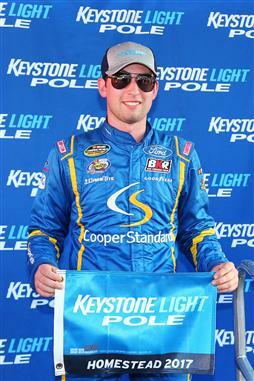 "I don’t know that I took a breath the last 20 laps," Byron said. "That was incredible. I just have to thank this team. This is awesome. Elliott raced me clean, and we just raced hard for it. I just can’t believe this. "I’ve just got to thank God for giving me this platform to perform. I can’t believe this. I’m tired, whew. I’ve never driven that hard in my life." "Man, that is tough watching those guys battle like that together," Dale Earnhardt Jr. said. "William did a great job running an awesome race. To be as young as he is, he drove like a veteran tonight. I know Elliott is probably really disappointed. It’s hard to watch any of your guys lose one, but at least we will be taking the trophy back to Mooresville tonight. "This is great for JRM and all our employees. One thing about William winning, the over-the-wall guys I’m pretty close to a lot of them. They pit my car, too (in the Monster Energy NASCAR Cup Series). It’s pretty cool to see these guys enjoy themselves. This really effects a lot of people. I’m really glad to be a part of it." 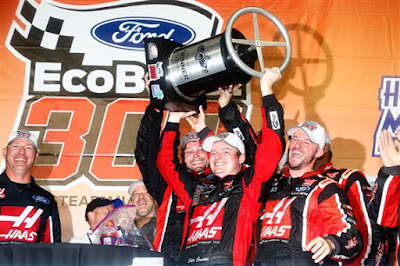 Another first time race winner, Cole Custer, pulled away steadily after a restart on Lap 97, Custer posted the largest margin of victory in the series this season and the largest ever at the 1.5-mile track! "We knew we were going be really good this weekend, but our Haas Automation Mustang was unreal," Custer said. "We really wanted to have a good showing at Ford Championship Weekend. Even though we weren’t in it (the Championship 4), we wanted to win." William Byron also claimed the Xfinity Series Rookie of the Year Honors. At the end of a riveting, breathtaking battle that had fans in the grandstands on their feet long after the checkered flag, Martin Truex Jr. held off Kyle Busch by .681 seconds at Homestead-Miami Speedway to win Sunday’s Ford Eco-Boost 400 and his first Monster Energy NASCAR Cup Series title. "It’s just overwhelming," a tearful Truex said in Victory Lane. "To think about all the rough days and bad days, the days that we couldn’t run 20th, to be here—I never thought this day would come, and to be here is so unbelievable." 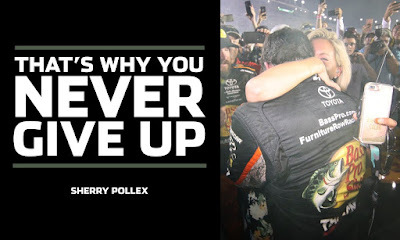 The victory was a timely gift for Furniture Row Racing owner Barney Visser, who is back home in Denver, Colo., recovering from a heart attack and subsequent bypass surgery. It was also a gift to Truex’s long-time girlfriend Sherry Pollex, who has been battling ovarian cancer. "A lot of it was for her," said Truex, who won for the first time at Homestead and the 15th time in his career. "A lot of it was for me. A lot of it was for this team – just, I don’t even know what to say. We just never gave up all day long. We didn’t have the best car. I don’t know how we won that thing. Never give up. Dig deep." Finishing in second, Busch closed rapidly, but Truex found a line that allowed him to maintain an edge that shrank to as little as two car lengths. But Busch never could pull alongside his fellow Camry driver, and Truex inched away over the last four circuits. "I told my guys we were going to dig deeper than we ever have today, and (with) 20 (laps) to go, I thought I was done – they were all better than me on the long run all day long," Truex said. "I just found a way. I found a lane that I could use, and I found a lane that was blocking enough of their air that they couldn’t use it and just made it happen. "I can’t believe it. I’ve wanted this since I was a little kid and just never give up. Just never give up on your dreams, no matter what happens and what kind of crap you go through. And thank you, Barney. I wish you were here, buddy." 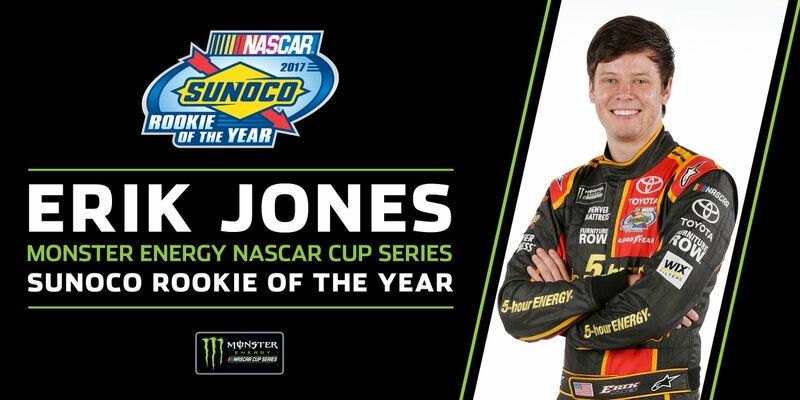 Furniture Row Teammate, Erik Jones is your 2017 Monster Energy NASCAR Cup Series Rookie of the Year. 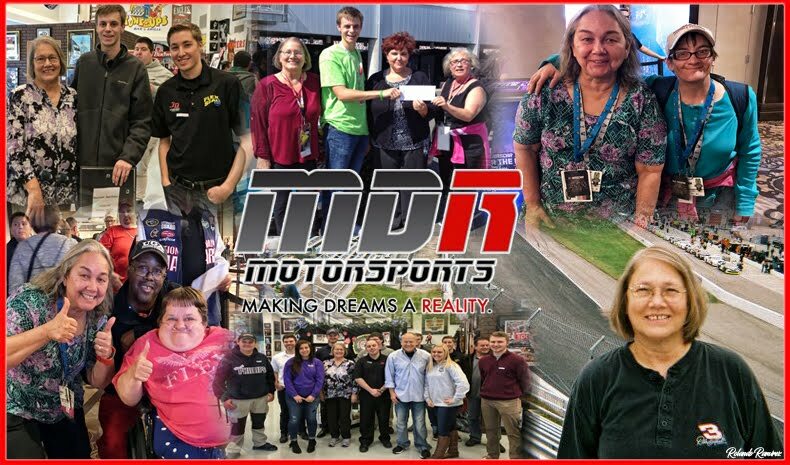 NASCAR Race Mom truly enjoyed this championship weekend and looks forward to 2017 NASCAR Champions Week in Las Vegas. Next Race: The Clash - Feb. 11, 2018.